superdumb supervillain: More Flor, this time Disney-fied! More Flor, this time Disney-fied! Scroll down for a Superdumb Supervillain discount! My love affair with Flor is well-documented. They have a clean, contemporary look that suits the adults in the family while withstanding the impact of the little ones and four legged family members. But did you know that Flor does Disney? And does it with charm and grace, I might add. Is your kid in love with Disney/Pixar Cars? This is by far the most decor-friendly option I have seen emblazoned with Tow Mater, Lightning McQueen and Doc Hudson. It's more retro than racetrack, which I find appealing. Perhaps you're an old school Classic Pooh fan? 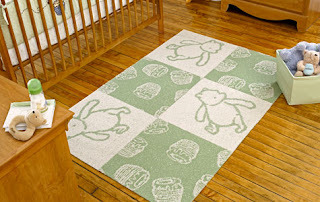 This sage and cream rug transitions easily from nursery to big kid room and features a tumbling, bumbling Pooh bear and his beloved honeypots. If you've got a daughter, though, let's be honest. 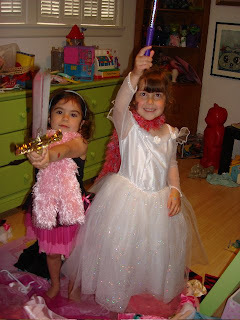 As much as I hate to admit it, they gravitate straight to the pink and princessy. 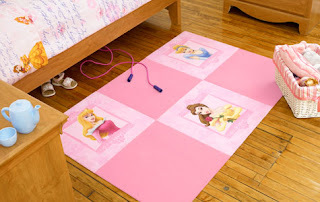 The Disney Princess Flor rug features ginormous Belle, Cinderella and Sleeping Beauty portraits that are just about life size for a four year old girl to kiss and gaze at, adoringly. The other three tiles are solid pink, pink, pink! This is the rug that Roo chose for her room, although I tried to steer her toward the mod Fuzzy Buttons. Nope, it's all about the Princesses, dude. 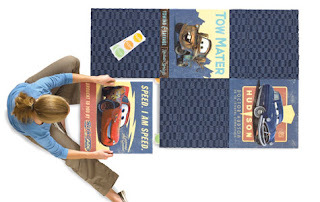 Enter code LM185 for 50% off Flor Disney Collection area rugs. So a six-tile 3'x5' rug that ordinarily retails for $100 is only $50! So cute! She's a girly girl!